Landmark Harcourts Alexandra is the market leader in the local district, with Belinda Hocking as the top real estate agent in Alexandra. We specialise in residential, lifestyle, rural and commercial properties in the areas of Alexandra, Yarck, Merton, Thornton, Eildon, Acheron, Taylor Bay, Taggerty and Buxton. Our experienced property management team offers expert friendly advice for all your investment needs. 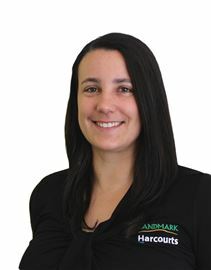 Belinda, manager of Landmark Harcourts Alexandra is a fully qualified Estate Agent with over 15 years experience in the industry, originally selling property in Melbourne, then returning to the country lifestyle for the last 10 years. 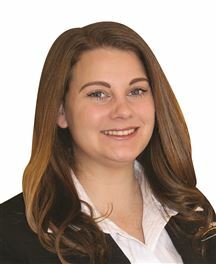 Belinda has a vast knowledge of rural (stock and station agent qualification) , lifestyle and residential properties whilst specialising in the sales of sub-divisions and rural/ residential developments. 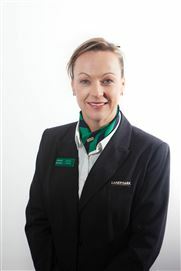 In her spare time Belinda enjoys horse riding and spending time with her young family. Jacque has worked with Landmark Harcourts Alexandra since 2011 and currently works part time as Sales Administrator and Marketing Coordinator alongside Belinda Hocking, a renowned real estate agent in the National network. 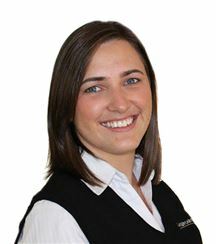 Jacque started out her career in real estate as a receptionist and property manager at Noel Jones Blackburn and relocated back to her hometown of Alexandra in order to pursue her real estate career. Jacque strives to deliver the highest level of service to all clients. When Jacque's not working the busy real estate life she enjoys spending time with her 4 year old daughter on the family farm. Sarah is our senior property manager joining our team in 2014. Sarah is an experienced property manager originally from Melbourne, she brings a wealth of experience and expertise to our team offering a professional service second to none. Sarah has an astute understanding of managing all types of properties including residential, commercial and rural holdings. Sarah's deep understanding of maintenance issues ensures that your investment is in the best hands. Landmark Harcourts Alexandra Welcomed Shannon to the team in 2018 as a full time Receptionist/ Office Administrator. Shannon was born in New Zealand and came to Australia in 2013, she brings with her a wealth of Administration knowledge and experience having worked in the industry for the last 5 years undertaking numerous administration tasks such as running of reports, data entry & daily banking. Shannon strives to deliver the highest level of service to all clients with her polite phone manner and approachable demina. In Shannon’s spare time she enjoys playing team sport, spending time with her family and friends and walking her dog. Family Entertainer on ½ acre! Solid Timber home on 2/3 Acre! Retirees, here's one for you! Cute cottage on huge block! The Perfect Family Hobby Farm! Solid home on huge block! Huge block with 2 houses! Just a stroll to the river! Build your dream holiday home!